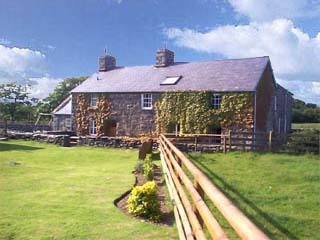 Situated on the edge of Dyffryn Ardudwy village 4 miles north of Barmouth. 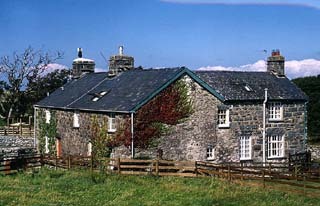 Gwytheryn a traditional 14th century farmhouse, once the home of the Lords of Gwytheryn is our largest and most interesting cottage. The house has a wealth of original oak beams and panels and the lounge has an inglenook fireplace for those cozy winter's evenings. Gwytheryn is suitable for a wheelchair user, it has a ground floor twin bedroom and en-suite bathroom with wheel in shower. Upstairs there are two double bedrooms one with adjoining twin bedroom and two bathrooms. The private garden and picnic area adds to the luxury and homely atmosphere of this farmhouse. Ynys our three bedroom cottage also has a private garden with picnic facilities and magnificent panoramic views of the nearby mountains. The kitchen come dining room has a fridge, freezer, dishwasher, microwave, electric cooker to make your holiday run as smoothly as possible. 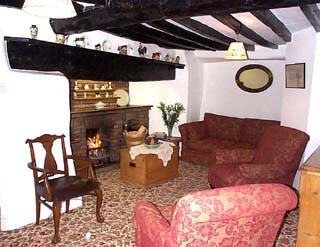 Gas central heating throughout and an open fire. Tastefully refurbished and refurnished. In Ynys we have two double bedrooms one with an adjoining room with bunk beds and the other has an en-suite bathroom with shower, while the main bathroom has a bath. Open fire, full gas central heating. Gas, electric and coal included. Children's play area and games room. Cots, high chairs, and baby sitting available. Within 5 miles (or less) Harlech Castle, steam train, slate mine, craft centre, Royal St. David's golf course, pony trekking, mountain and country walks, lakes, rivers, fishing, sailing and sandy " blue flag" beaches of the Cambrian coastline. The Wales Tourist Board highest grade of five Stars. Superbly equipped and tastefully furnished. Welcome Host Gold Award - Farmhouse award Suitable for the disabled.